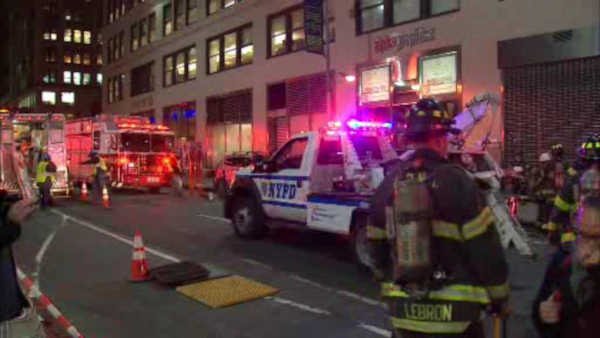 MIDTOWN, Manhattan (WABC) -- Natural gas service is expected to be restored Friday morning after a leak forced hundreds of people out of two Midtown buildings. Con Ed was called to 7th Avenue and 37th Street late Thursday afternoon. The source of the leak was found in a main on West 37th Street. No one was hurt, but there were some road closures in the area.